All the consoles are briefly described below, both on the page and in this video. The front page to the application. It shows some overall stats for Runs and Errors along with popular trees and handlers. You can hover over many of the links to get more information. The only clickable link is the Run Errors in the top right. Allows the administrator to set users and permissions to the application. All of the configuration and environment settings for the application. 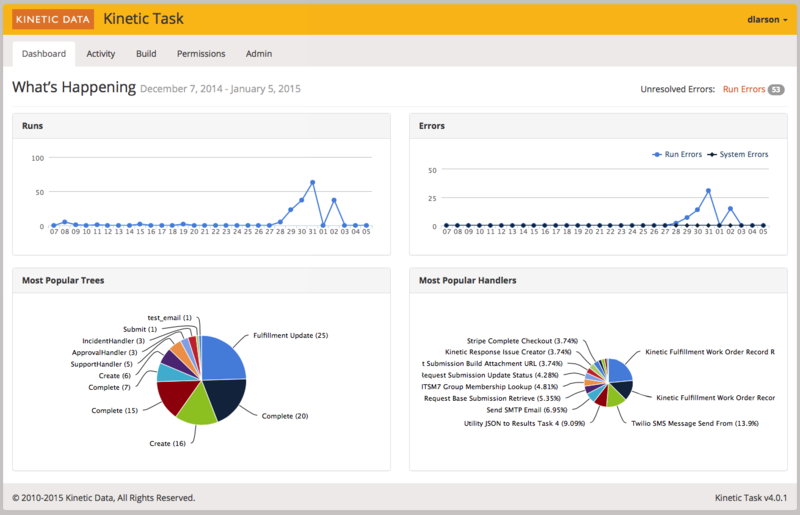 The activity console tracks all the Runs, Errors, and Staged executions on all the task trees. Search capabilities are on the right panel. Select the type of activity on the upper left, and then select the individual piece by clicking on either the numbered item under either Run, Error, or Staged. Click on the Run number (in red) to see details of the run. 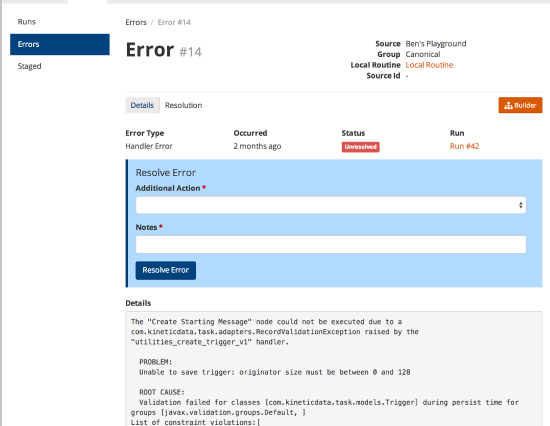 If there is an error related to your run, two additional records are created, an error and a trigger. The list under Error is all the available errors with the most recent first. Click on the Error Number to see the specifics of the error. For most errors, you can select to resolve or skip the error (after entering information in the required Notes field) once you have diagnosed and corrected whatever is causing the error. A link back to the specific run is towards the top right. 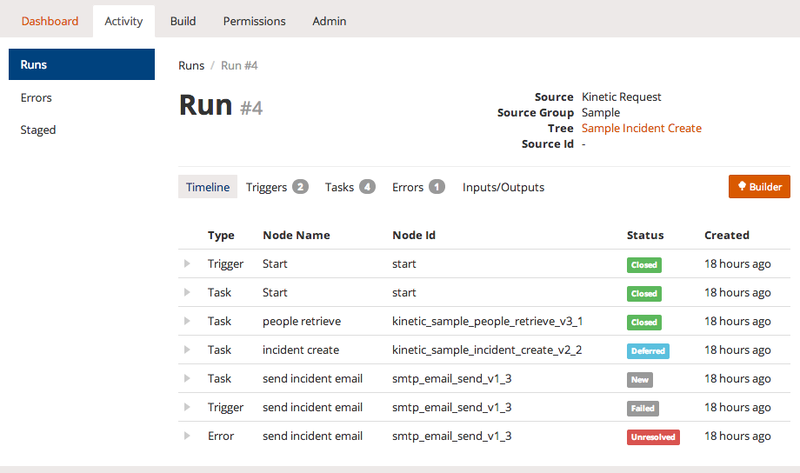 This console lets you construct and maintain Trees, Routines, and Handlers. Trees and Routines have search capabilities on the right hand panel. Handlers are sortable.